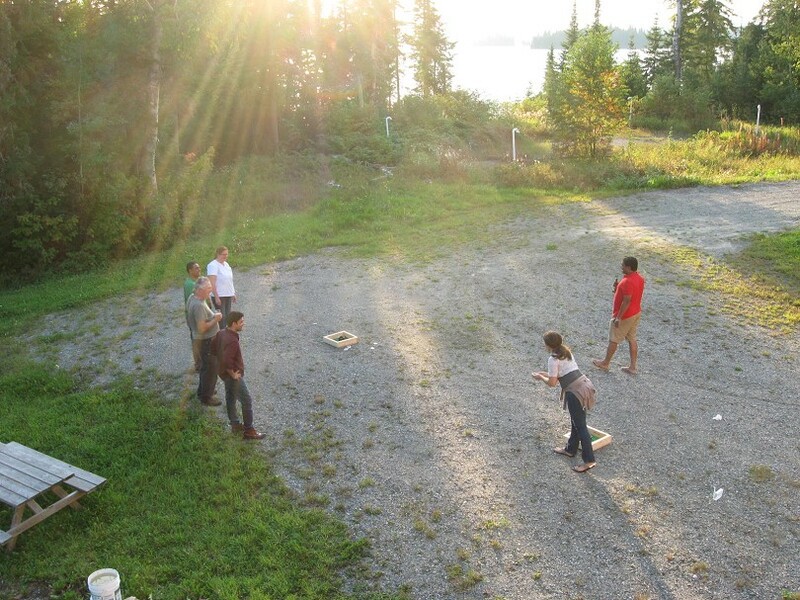 A small but enthusiastic group of 17 participants gathered in mid-September of 2015 in the Abitibi-Témiscamingue region of north-west Quebec for the annual meeting of the Poplar and Willow Council of Canada (PWCC). 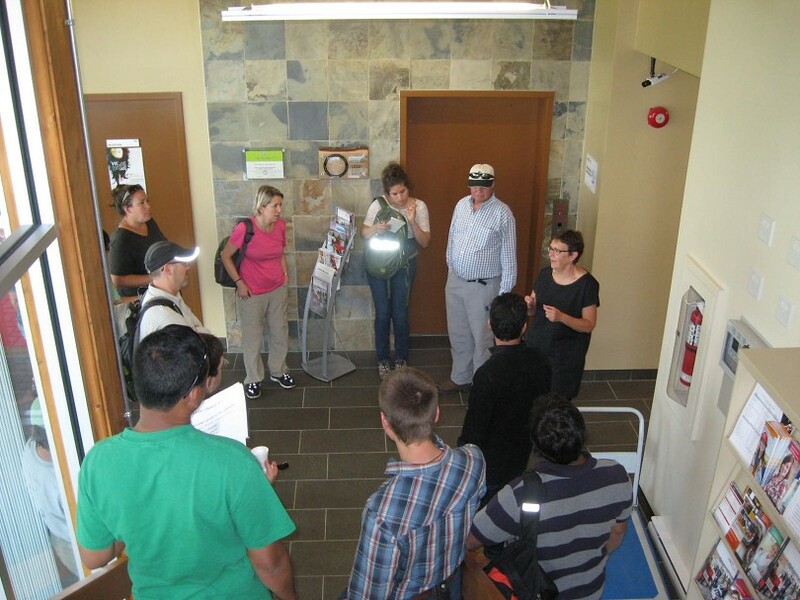 The meeting took place at the Lac-Duparquet Research and Teaching Forest Research station (Forêt d'Enseignement et de Recherche du Lac Duparquet - FERLD) of the Université du Québec en Abitibi-Témiscamingue (UQAT). The research station, which has accommodation and well-equipped workshop space for up to 30 people, as well as laboratory facilities, sites on the shore of Lac Hébécourt, at 48.5°N latitude about 60 km north-west of Rouyn-Noranda. The setting is typical boreal forest with a mixture of tree species including spruce, fir, aspen and birch, but is not what would commonly be considered as a good place for fast-growing hybrid poplars - yet the field tours which were part of the event showed that that opinion might be mistaken. On the evening of the first day, Brian Harvey, Director of FERLD since its inception in 1996, gave an informative presentation to the participants about the Research and Teaching Forest and the work being conducted there. There was also an opportunity to visit the laboratory facilities at the station, which feature a dendroecology lab and associated sample storage space. On the first day of the meeting, a total of ten scientific presentations were given, five each on the themes of 'Poplar and willow management in natural settings' and 'Site reclamation with poplar and willow'. These were presented by scientists from Quebec, British Columbia, Alberta, Saskatchewan and Pakistan, and included papers by the two winners for 2015 of the PWCC/University of British Columbia student travel awards: Estefania Milla-Moreno from the University of British Columbia who spoke on 'Phytoremediation in the proximity of a Copper Mining site of Chile using P. deltoides x P. petrowskyana hybrid, Salix babilonica L. and shrub species', and Shayeb Shahariar from the University of Saskatchewan who spoke on 'Effects of Short Rotation Willow on Soil Hydrology and Salinity in the Riparian Zones of Wetlands of Prairie Pothole Region'. The abstracts of all papers presented - and if possible, the presentations themselves - will be made available on the PWCC website. 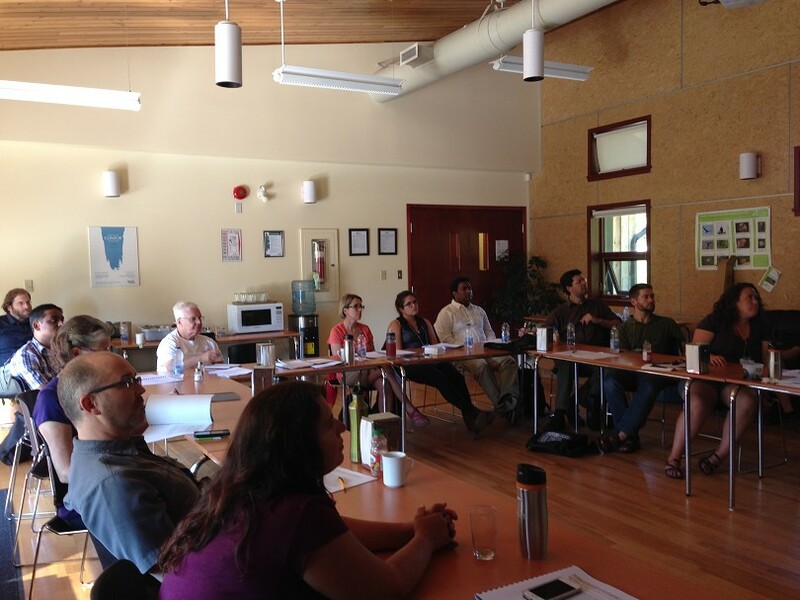 Participants listen to technical presentations. At the end of the first day of the event, the annual business meeting of PWCC was held, chaired by Raju Soolanayakanahally. Annual reports of the chair, technical director, executive assistant and treasurer, as well as those of the chairs of the Genetics and Breeding Working Group and the Pesticides Working Group, were discussed and accepted. (Reports will be available on the PWCC website.) Marc Poirier, general manager of Bionera Resources Inc., was elected to the Board of Directors and accepted the position of chair of the newly-expanded Environmental Services and Bioenergy Working Group, following the departure from Canada of Jaconette Mirck who had previously chaired the Environmental Services Working Group. All other directors and officers were reconfirmed. A decision was also made to hold the 2016 annual gathering of PWCC in Regina and Indian Head, Saskatchewan in late July, with a celebration of the 113-year history of what was known as the Prairie Shelterbelt Centre. Following the day of presentations at the station, there were two days of field visits in the boreal forest of the region. These featured hybrid poplar plantations on the first day, and reclamation of gold mining wastes with poplars and willows on the second, thus roughly echoing the two themes of the presentations. About 120 km south of FERLD at Duhamel-Ouest, a trial of refinements to the DRIS (Diagnosis and Recommendation Integrated System) fertilization method for hybrid poplar plantations was established in 2005 on a relatively rich fallow agricultural site using four clones: P. balsamifera x P. trichocarpa (BxT), P. balsamifera x P. maximowiczii (BxM - 2 clones), and P. maximowiczii x P. balsamifera (MxB). The MxB clone (915319) has shown the best productivity and the BxT clone (clone 747215), which typically stopped growing at the end of July, had the poorest productivity. On this rich site there was very little difference in performance between monoclonal and polyclonal deployment, both of which were tested in the trial. The fertilization treatments, applied at the time of planting, were complex and costly and results showed that standard NPK application was about equally effective. The Duhamel-Ouest trial is one of a series intended to evaluate clonal plasticity with spacing and latitude. A second trial, located at FERLD, was also visited. This site had been previously forested and surface organic matter had been removed and the site mounded and furrowed before trial establishment. Fertilizer treatments were applied twice (year 1 and year 3), resulting in good growth for a time, but growth rates had since decreased considerably compared to Duhamel-Ouest, although the growth patterns of the clones were similar to those on the more southerly richer site. Roots of the planted trees were becoming exposed, making visible the high prevalence of root grafting between trees and clones. 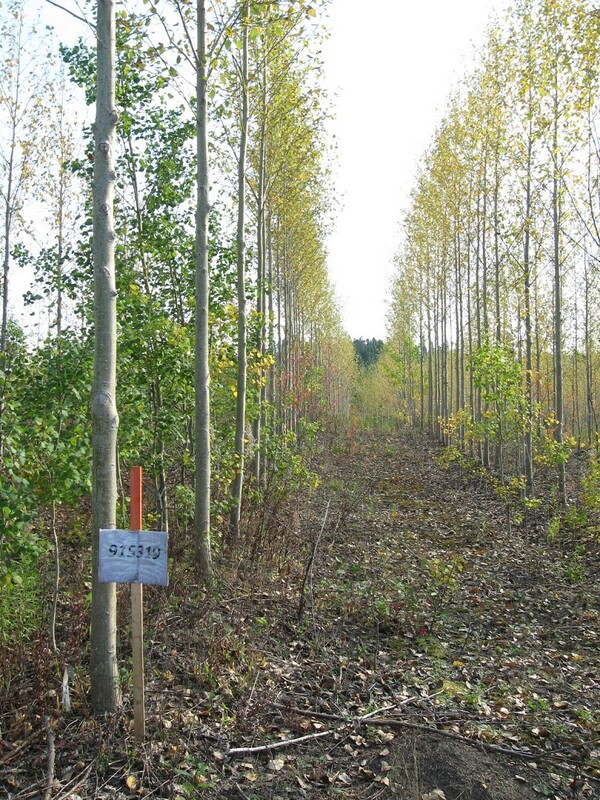 On part of the site at Duparquet, a more recent trial was superimposed in 2013 between the hybrid poplar rows. It was designed to investigate whether dehydrated municipal sewage sludge could replace surface organic matter as a means of restoring a disturbed clay forest soil. More specifically, the trial is looking at the effect of sludge application (15 or 30 cm deep, and stored for 1 or 4 years before application) on soil nutrient and contaminant bioavailability and organic carbon dynamics. Treatment effects were being measured on white spruce seedlings planted on small plots between the poplar rows. 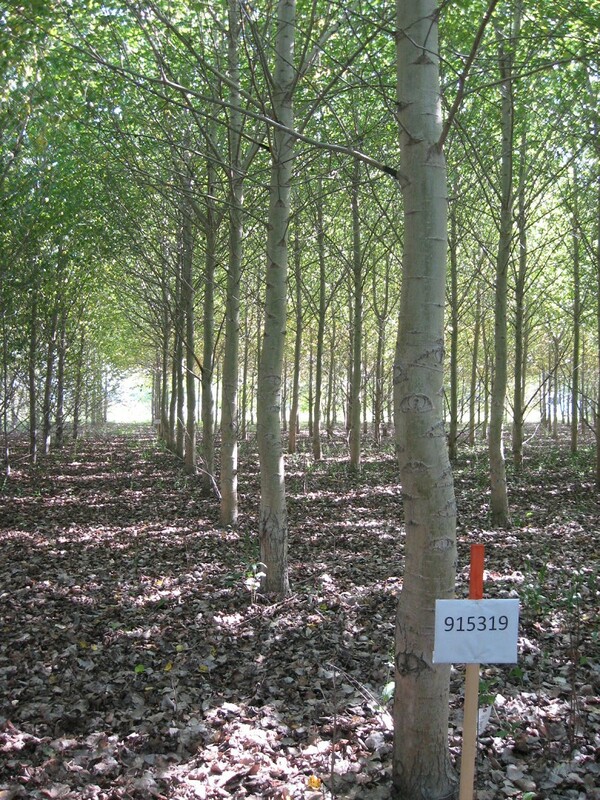 The best growth of hybrid poplar in the region (about 200 m3.ha) was seen in a clonal trial established on agricultural land at the New Liskeard Agricultural Research Station of Guelph University. Although only 25 km from Duhamel-Ouest, this plantation is in Ontario. Pre-emergent herbicide had been applied before planting and the trees had also been spot-fertilized at time of planting. A total of 18 different clones (BxD, BxM, DxN, MxB), either cuttings or bareroot stock, were planted, with clone 915319 again proving one of the best performers. Two years after planting, a pruning trial was established in the plantation to determine the effects of season and intensity of pruning. Now, eight years after establishment, the plantation was ready for thinning. 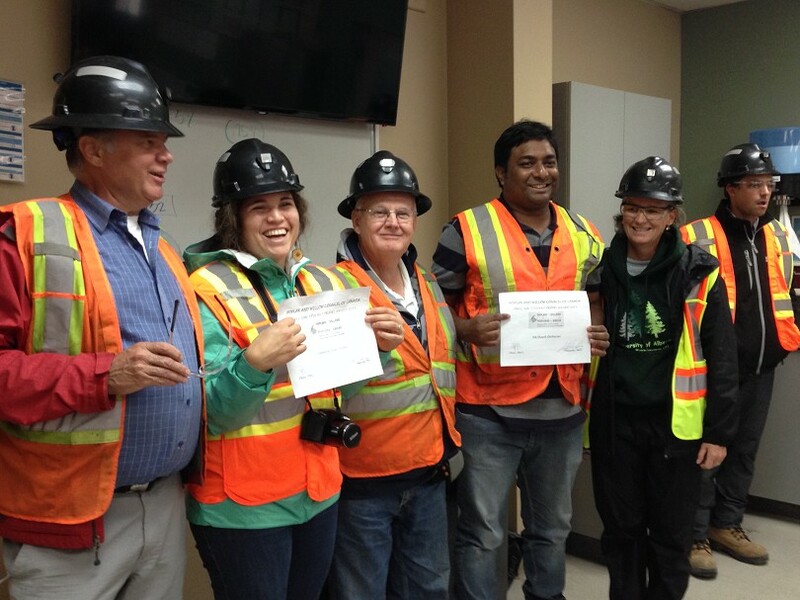 The second day of field tours focusing on reclamation of mine waste, featured two extensive gold mine sites: Canadian Malartic and Westwood, located between Val d'Or and Rouyn-Noranda. 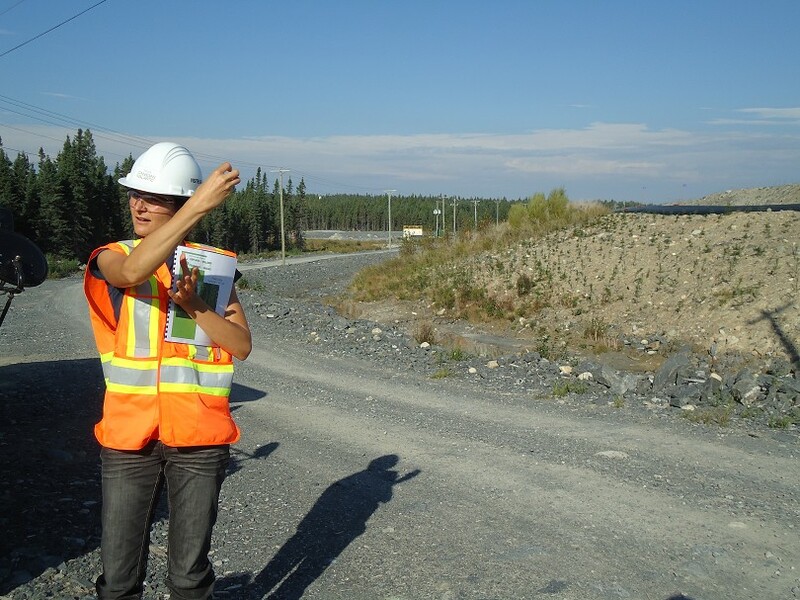 The Canadian Malartic mine began operations in 2011 with a target of 5,000 tonnes of ore per day. producing 10,000 tonnes of tailings per week. A series of experimental plantations was established by UQAT in 2013 on waste rock slopes (33% slope) which had been covered with topsoil, generally 50 cm deep, but in one trial 3 depths of soil were compared (25, 50 and 75 cm). On the soil thickness trial, different species were planted, including hybrid poplar (BxM), jack pine, alder (on lower slopes) and native willow (on upper slopes). Whips 1.2 to 1.3 m long were used for both poplar and willow, the willow whips being laid flat on the soil which resulted in multiple sprouts along the whip, a very efficient and effective planting method on such a site. Another trial tested the effect of spacing of hybrid poplar (MxB clone 915319 planted at 1x1, 2x2 and 4x4 m) and hydroseeding of herbaceous vegetation. The hydroseeding resulted in dense development of herbaceous species. A third trial investigated the effect of plantation material (whips, cutting or bareroot stock of clone MxB 915318) and substrate (50 cm topsoil, or 40 cm mineral soil + 10 cm topsoil). 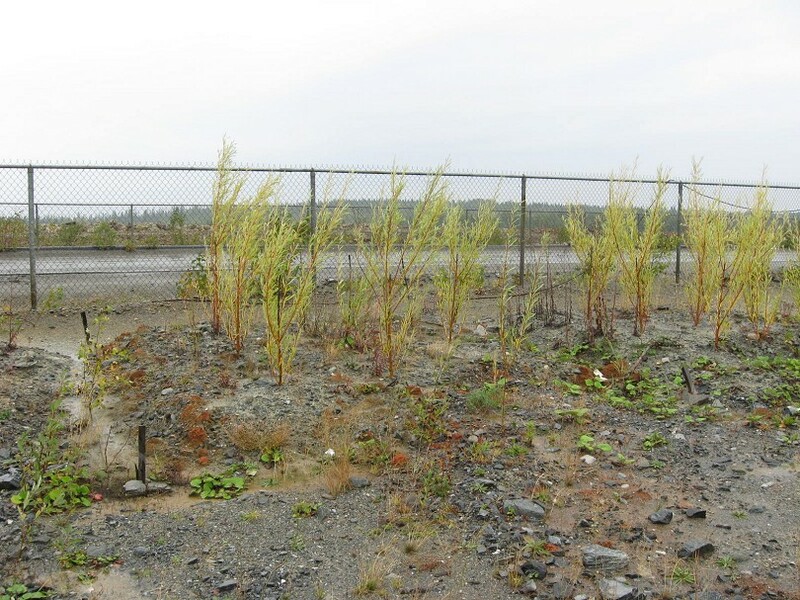 On a more level area of mine rock waste, a trial of native willows (S. interior, S. discolor, S. eriocephala - 3 clones each) was established in the mine tailings without soil cover. Cuttings 20 cm long were planted in 2014 with only 2 cm above the surface and there had been very little growth in the first two years. The second gold mine site which was visited was what was previously the Doyon mine, recently reactivated as the Westwood mine. On the acidic waste rocks of the older mine, a fast-growing willow plantation (S. miyabeana clone SX64) was established in 2014 with the aim of rapidly and temporarily greening the site adjacent to an access road. 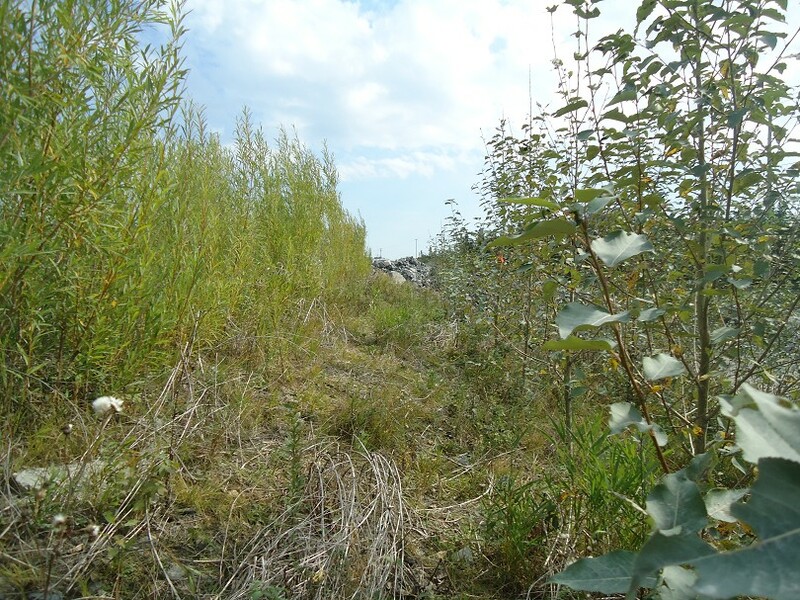 Different thicknesses of soil cover (20 or 50 cm with 20 or 40% organic matter) were tested to study the effect of proximity to the wastes on the willow roots. 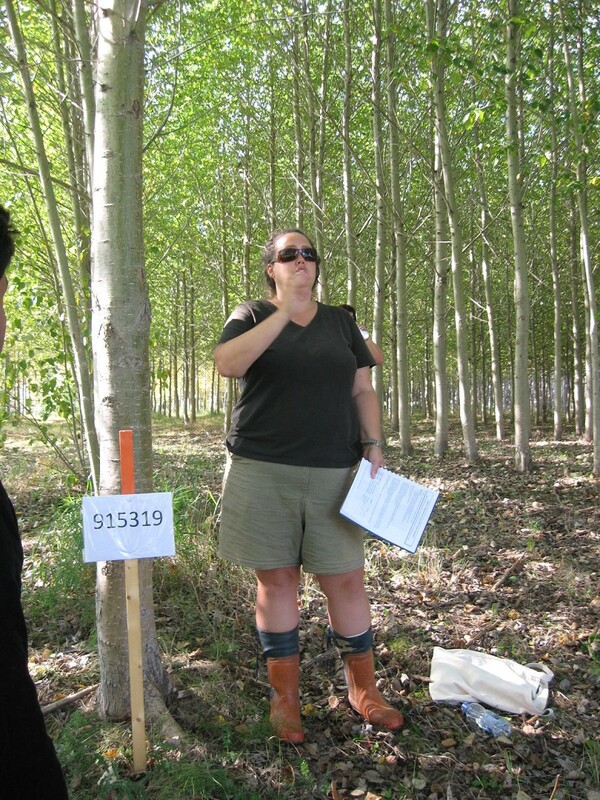 Short-term root development, exposure to water stress and metal accumulation by the willows were also being studied. In a second trial, native willow clones were directly planted in the waste rocks to identify which clones were best adapted to this substrate. 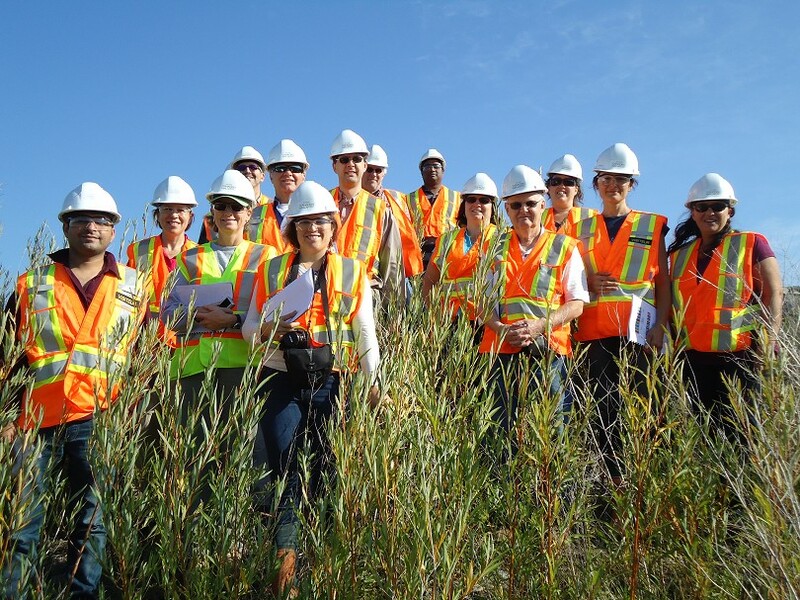 revegetation trial at Canadian Malartic gold mine. treatments. Note natural revegetation between plots. L'Université du Québec en Abitibi-Témiscamingue (UQAT) hosted the entire event. 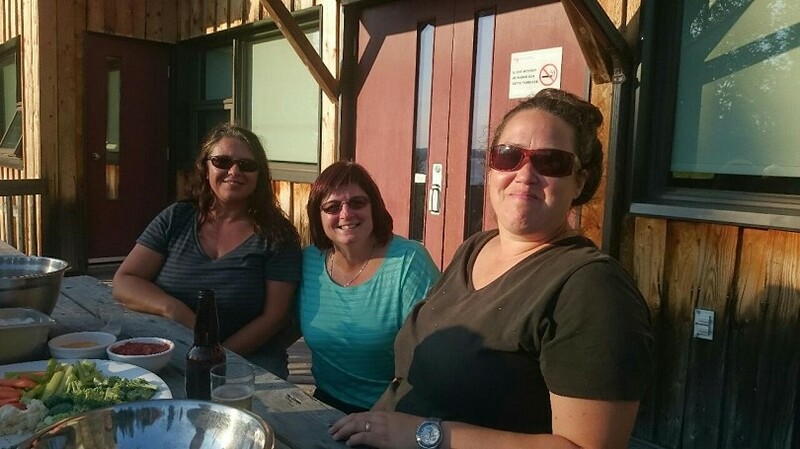 Organization was in the capable hands of PWCC Eastern Vice-chair Annie DesRochers and her UQAT colleagues Line Blackburn and Isabelle Métivier. The warm September weather permitted enjoying evening meals, which were prepared by a gourmet chef, on the patio of the station overlooking forest and lake. An extensive photo gallery, from which the photos illustrating this article have been taken, is available on this website. 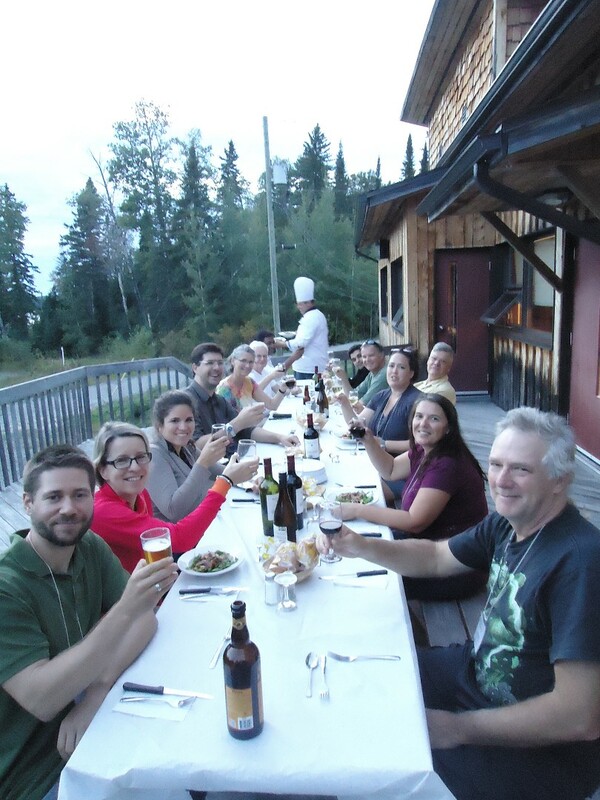 Meeting participants enjoy dinner 'en plein air' at Lac-Duparquet research station.